Wanna slay just like Beyoncé and Demi Lovato? Duh. Find your new false eyelash obsession in Velour Lashes. These 100% cruelty-free eyelashes are handmade with mink to ensure that they’re high quality and can be re-used up to five times longer than synthetic lashes. We love Velour Lashes because they’re made with a cotton thread lash band, meaning that each strip is flexible and easy to apply wither either tweezers or your hands. 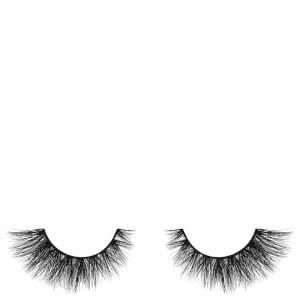 These authentic mink lashes come in several options for both day and night, and each pair can be cut to fit your eyes exactly. Plus, all mink fur is completely ethically sourced from free-range zoos to ensure your mink eyelashes are guilt free.